More durable polyester resin finished paneling instead of the normal paper finish. We use all marine grade sealant, because it is simply the best and longest lasting. 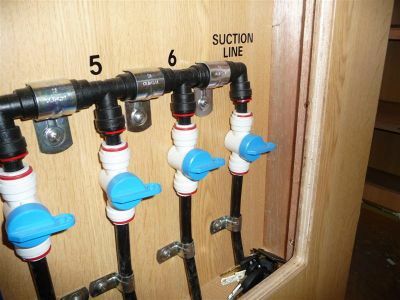 Positive locking marine grade cabinet catches, simply the best, instead of the flimsy type. Locking water fillers, you should have them. Deep cycle batteries, so the van can be self powered without hooking up. Sealed and vented battery boxes. Solar ready electrical system with 12V breakers and meter. Dual wired for 12V and 240V, a true hybrid electrical system. Power mover geared jockey wheel to move the van around, makes hooking up a breeze! And our new solid rubber tyre geared Power Mover is Standard. Two spares, yes you should have two. A heavy duty handbrake not the silly thing on a normal hitch. 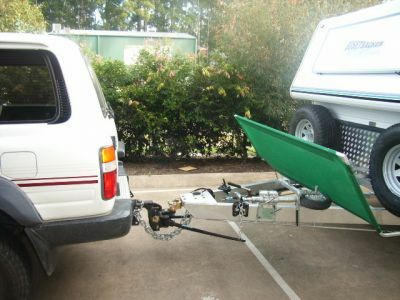 A 4x4 hitch because a normal hitch only articulates about 22 degrees. Gas struts to lift double beds for storage access underneath, just makes life easier. A separate locking security grill on the door (should have). Four Seasons four way opening hatch. A watertight door for crossing floods and rivers, also helps make it dustproof. Armour on the water tanks, Mandatory! 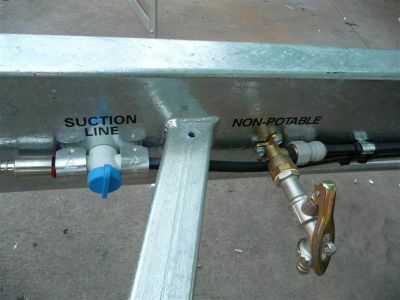 And independently plumbed for safety in the bush. Tasmanian oak doors and drawers dovetailed in the corners like Grandma's furniture. 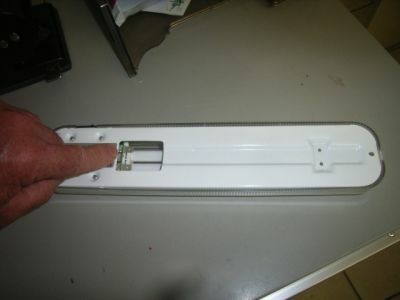 We use real rollers and guides on our doors, because it is the best. Marine Flojet automatic water pumps, others work, but for how long? This is the best. Tinted Galaxy windows, helps to keep it cool - and the windows are safer than glass. Off-road tyres and wheels, can be designed with stud pattern to match a range of tow vehicles. A range and oven with automatic ignition on the oven and grill and an oven light. Three way gas,12V/240V fridge, or you can upgrade to a compressor drive unit. Stone guards on the front, and no boot to bounce the stones back at the tow vehicle. Proper wheel mounts down onto the chassis, for the spares. Body armour on the caravan in proper thickness Aluminium checker plate, real body armour not the thin type just for looks…. Laminated double chassis in vans from 16' and up. A departure angle on the back, for pulling up or backing up a steep bank. 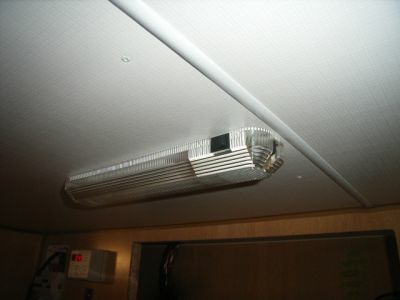 Looped high efficiency long life fluorescent lights that burn half the power. Additional watertight locker door under the sink. And additional Chrome Flick mixer for sink when taking the New Style Ensuite Option. Including Curtains even though the Dometic DG windows have Blinds, this is for our overall appeal of interior décorum. Each will have a switched LED cargo hold light inside. Single Lever Flick Mixer in the Kitchen as well. You might as well have the best........ The quality holds it value, and most of our Second Bushtracker Buyers got all of their money back or more on their first Bushtracker van.. Quality pays in more ways than one..
A Hot dipped galvanised A-frame not just tacked on the front, but runs right into the chassis. Departure angle on the back, for pulling up or backing up a steep bank. Necessary in any off-road caravan! 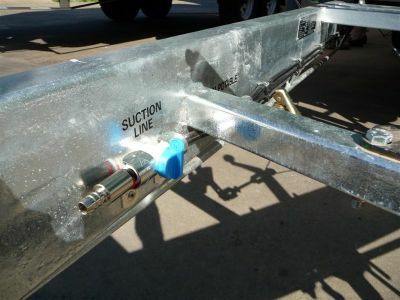 Two spares, yes you should have two and mounted on the front of the van where they should be (not on the rear where they contribute to �hobby horsing� and sway) and mounted directly to the chassis. 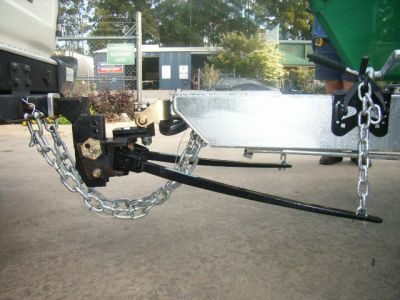 Power / easy mover geared jockey wheel to move the van around, makes hooking up a breeze! Tinted Dometic windows with built in insect screens and blinds, double glazed to help keep it cool - and the windows are safer than glass. 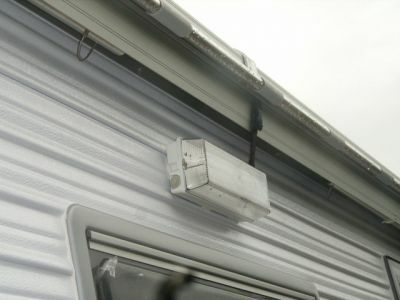 We use all marine grade sealants throughout the caravan, because it is simply the best and longest lasting. Insulated roof and walls: Three inches of cooler board insulation in the roofs and one inch in the walls cut and matched to the framework with no gaps. Not batts or fibreglass to settle out on the corrugation. Why? Because it's the best. More durable polyester resin finished panelling instead of the normal paper finish. We use real rollers and guides on our doors & drawers, because it is the best. Bulkheads and bench tops all made of high quality waterproof ply, no chipboard or MDF is used in a Bushtracker. Dometic 90L 3 way gas / 12V / 240V fridge, or you can upgrade to a compressor drive unit. Marine Flojet automatic water pumps with filters, others work, but for how long? This is the best. New type armoured water tanks, mandatory! And independently plumbed for safety in the bush. Deep cycle battery, so the van can be self powered without hooking up. Custom made sealed and vented battery boxes. This comes with a $2500 price increase to cover these Standard Inclusions in our Base Price, but we think there are obvious quality benefits associated with raising the level of our Standard Inclusion to incorportate these items..
With all of our testing and continuous R&D, we have a new light for you... 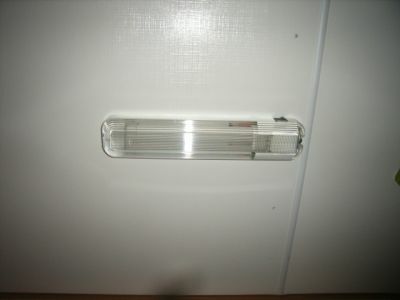 It uses the Phillips looped high efficiency fluoro, at about half of the power draw of a conventional fluorescent... About the light value of a two bulb fluoro, only with half the power, instead of 1.9 amps, this uses .8-.9 amp. And the lense is a high impact polycarbonate. This light is better, about 50% more expensive but better. We have decided to include this as Standard Equipment, at no charge..
Steve I like the look of the light fittings . Would you sell them to us for retro fit in our existing BT. $$$ I am also interested in what latches you may be using to retain the cargo doors in the open position. And I will unvail a new Awning light on Tuesday!!! 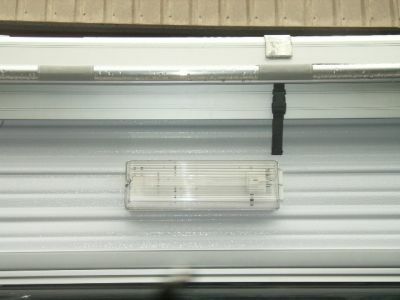 It has the highest output of any awning light in the market... Staaaaaay Tuned!! Highest light output for the least power. Regards to all from the Ranger..
Hard to beat a good thing, so after years of trying we have made this Standard Equipment. It is expensive, and it is not particularly pretty or fashionable.. But WOW does it put out the light. The light sounds great Steve. I would just be a little worried about how robust it would be to branches etc. Is it mounted sucurely? Got a Bushtracker. Smarter than the average bear!! Alright, here is a new twist I did not anticipate. In only the first day back three of you want to upgrade the lights in your older van. Well, I will not argue, they are that much better, better lense, better light, OK. They are a bit expensive, $110 each plus $15 package and post for 4 of them mailed out... And the exterior one is $130, and say $10 postage. The purpose was not to sell the lights, (which we have just gotten 200 in stock now), the purpose was to show you our new and higher standards as the lense and structure of these are just superior..
Had not thought about such an immediate response for a retrofit, but I can understand it. 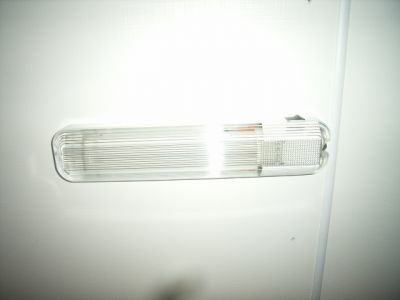 We supplied these Resolux lights for fitting when our BT was built in February 2005. 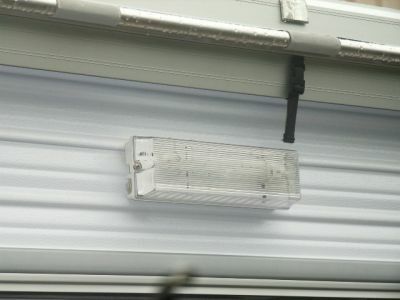 They are vastly superior to the Solagen lights and we thoroughly recommend them. We have had to replace the ballast on one light in that time. The light emitted is bright and crisp, and as Steve points out, the current draw is quite small for the amount of light. Now all we need is a decent retrofit for our flush-fit exterior light... anything on the horizon, Steve? Yes thanks Steve. 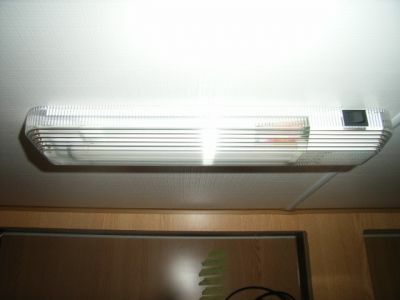 We have a Col-Lite which we do use under the awning at times. The great thing about that is that it doesn't attract insects nearly as much as another plug in fluorescent from ARB ( a bit like a Versa Lite). 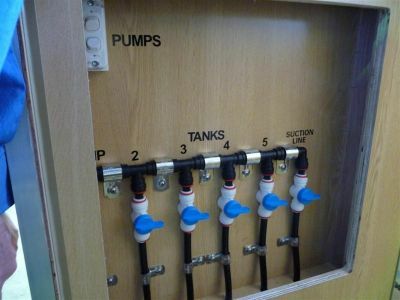 It goes to the inside of your tank selection manifold, for which tank to pump from, at the end of the manifold. Not only is this now Standard Equipment; but here is another. From now on, the potable water entry will have a pressure reducer on it that allows you to use it for a Town Water entry point. 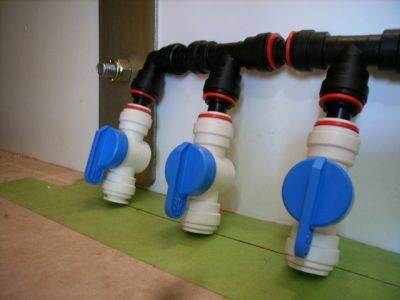 You just leave all the tanks off, and through the intake manifold with all the tanks shut off, it will have a double use and fuction of a town water inlet. So now you get both, Free of Charge, F.O.C. courtesy of the lone Ranger. This is just another reason why WE, and many others chose Bushtracker. Informed, uncompromising and always at the forefront of R and D, and when it works, include it on vans. This resolves all those problems... 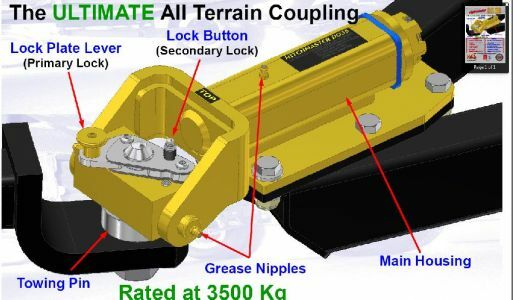 It simply drops down on a pin (instead of a ball so there are none of the rotational problems of the ball) but it still has all the extreme rotation in both directions for off-road use. The link does not seem to be working. Click on it and all I get is an error message. The page you are looking for does not exist. It may have been moved, or removed altogether. Perhaps you can return back to the site’s homepage and see if you can find what you are looking for." Try this link, the other may be very old. Yes you have to look at the dates on some of these Posts. That one was from 2009.